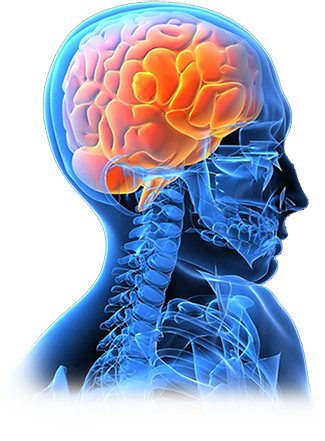 Dr. Ghosh possesses substantial experience in the management of brain trauma. He spent seven years as a neurosurgical resident and on clinical faculty at the University of Southern California, Los Angeles County General Hospital Medical Center. At L.A. County General Hospital, Dr. Ghosh had the opportunity to actively participate in one of the busiest trauma centers in the country if not the world. He spent seven years actively managing a vast array of head injuries including head injuries from gunshot wounds, blunt trauma, motor vehicle accidents, sports-related injuries, and assaults of various types. After beginning private practice in San Diego in 2002, Dr. Ghosh was approached by the faculty of Scripps Memorial Hospital in La Jolla and he was asked to work with another neurosurgeon, Dr. Frank Coufal, to initiate a subspecialty neurotrauma program at Scripps Memorial Hospital in La Jolla. Working closely with Dr. Coufal, Dr. Ghosh initiated state-of-the-art protocols in the management of head injury and acted as the assistant director of neurotrauma at Scripps Memorial Hospital in La Jolla from 2004 to present. The neurotrauma program that has been created by Dr. Ghosh and Dr. Coufal has gained special commendation from the American College of Surgeons during their review of Scripps Memorial Hospital’s overall trauma review. Dr. Ghosh also provides neurosurgical consultation to the University of San Diego’s athletic department for student athletes who have suffered head injuries and concussion. Furthermore, Dr. Ghosh provides neurosurgical consultation services for patients who have suffered head injury in industrial and automobile accidents. Dr. Ghosh is certified and trained in the state-of-the-art management of head injury including surgical techniques of craniotomy and decompressive craniectomy and the use of a ventriculostomy. In addition, Dr. Ghosh employs state-of-the-art techniques for intracranial pressure monitoring including Camino ICP monitoring and Licox cerebral oxygen monitoring.